So you think you’re too busy to work out? We’ve got the solution! In just minutes, HIIT (High Intensity Interval Training) will get you sweating, breathing hard and at the same time maximise the health benefits of all round exercise. Even better, Scientific studies show its proven to work. You can read more about HIIT and how it compares to other forms of Cardiovascular exercise here. What is HIIT and what does it involve? HIIT- referred to and popularly known as High-Intensity-Interval-Training is based upon getting short, intense bursts of exercise done that have a big impact on your body and energy levels. HIIT training can provide the same positive effect to your heart, lungs & metabolism in just a few minutes that you would expect from more traditional 45-60 minute workouts. It may sound too good to be true but learning and applying this exercise technique can mean saving you hours at the gym and is a lot less boring than jogging on a treadmill for an hour! You can use it with any aerobic method you prefer. The principles of HIIT can be applied with circuit training, running, skipping, rowing and even swimming. Even though HIIT lasts only minutes it does have to be intense and push your body toward its limit for the best effects. 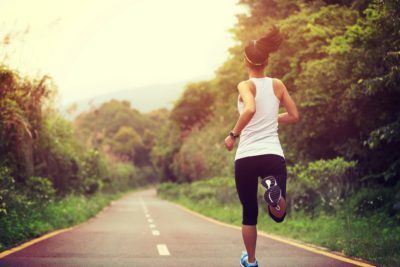 High-Intensity exercising is obviously not a casual strolling workout, but you don’t have to go until you feel faint either. You don’t need any fancy heart rate monitors but monitoring your progress each week gives you a guide on your development. As your fitness improves or when you have a bit more time, try adding in extra circuits! Even if you have a full schedule every day, there’s always time for HIIT. It will give you an energy boost that can help you through a busy day. Be creative, with your favourite music playing and even buddying up with someone you’ll be soon looking forward to your workout. Start off slowly if you’re fairly new to exercise or just getting back into it. Start with consistent 7 minute workouts and then add more time as you progress. Change the workouts as you go along and challenge yourself by logging the repetitions, sets and rounds as you go along. HIIT can be done anywhere, all you need is a small space, jogging-on-the-spot, bodyweight exercises and even a chair or desk can be used as apparatus to work off. You can do it before you start the day waking up just 10 minutes earlier, on or lunch break and outdoors. The convenience of HIIT means that you can apply its principles to many different activities. Too hot outside? Try some HIIT in the pool against the water resistance. Use a spin bike when its too cold outside. If you’re away for work or on vacation try it in the corner of your hotel room with some on-the-spot-jogging or jumping squats. The main thing is you go all out in the time you’ve set yourself with less intense intervals or shorter rest periods. 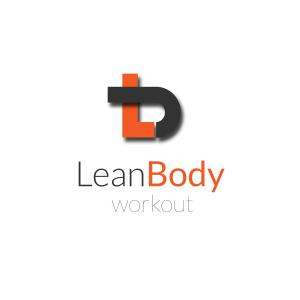 Learn about how we incorporate HIIT at Lean Body here. HIIt training can be done anywhere. Sugar Cravings -5 Ways To Take Control! 5 ways to make time for exercise!